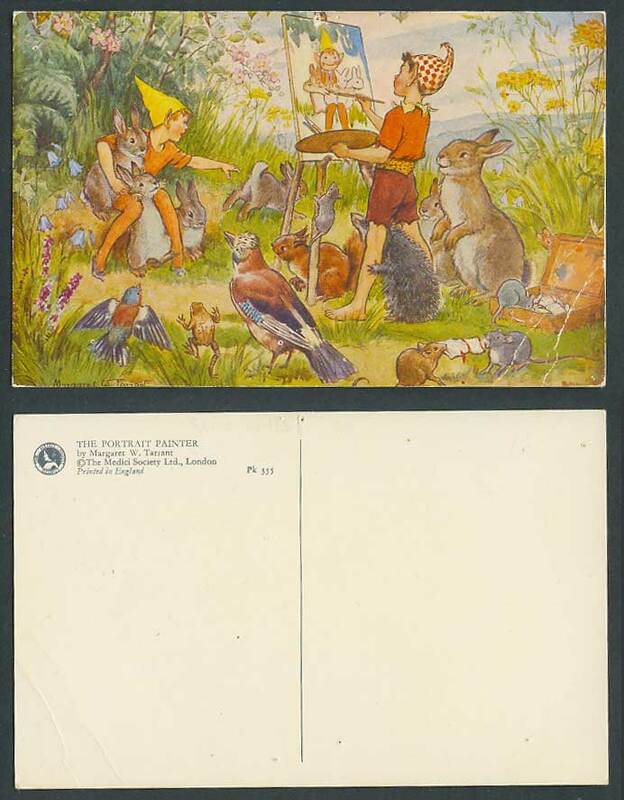 Vintage Art Drawn Old Colour Postcard, Artist Drawn by Margaret W. Tarrant. The Portrait Painter, Birds Bunny Rabbit Rabbits Frog Mouse Mice Rat Rats. Flowers. Publisher: The Medici Society Ltd. London.